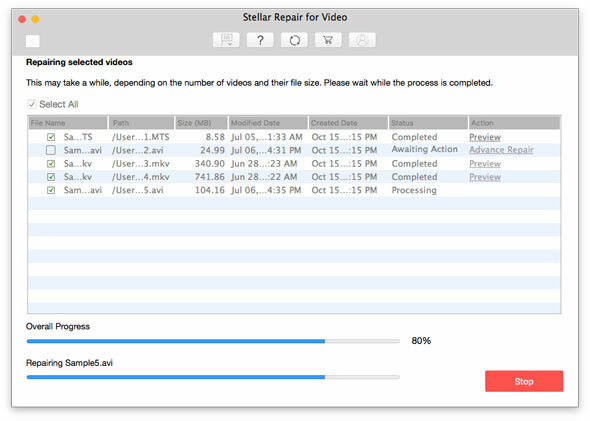 Stellar Repair for Video is an advanced software to repair corrupt or damaged HD and UHD videos on Mac. It supports AVI, ASF, WMV, MKV, FLV, DIVX, WEBM, MJPEG, MPEG, AVCHD, MTS, MOV, MP4, M4V, 3G2, 3GP, and F4V video formats. 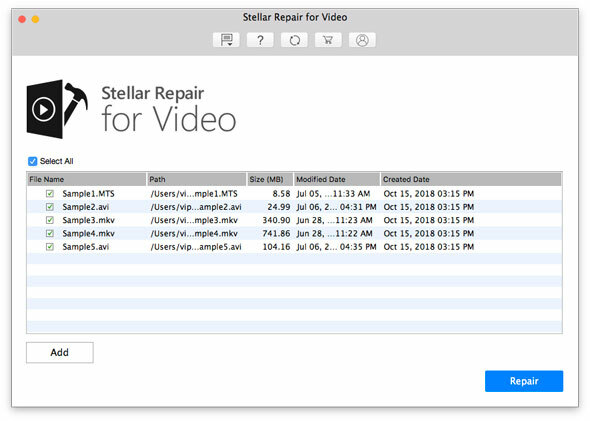 Use Stellar Repair for Video software to fix any kind of corruption and error in unplayable or poorly playing videos in Mac. You can repair corrupt, stuttering, broken, or damaged videos shot with digicams, DSLRs, drones, surveillance cameras, iPhone, iPads, etc. It repairs video files stored in any Mac Partition/Volume, external hard drive, SD card, memory card, USB flash drive, etc. The software supports QuickTime videos and 4K movies file formats. 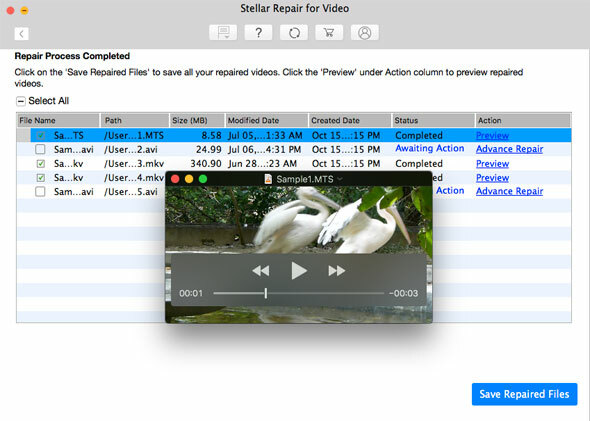 When should you use Mac Video Repair software? Your video file refuses to play on QuickTime Player, VLC or other Mac supported media player. When video file(s) is damaged and hence, running partially on Mac video player. Video is out-of-sync or no sound at all. Videos are jerky, grainy, distorted, flickering, or unplayable. Videos showing errors while opening like ‘error loading media’, ‘file could not be played’ etc. 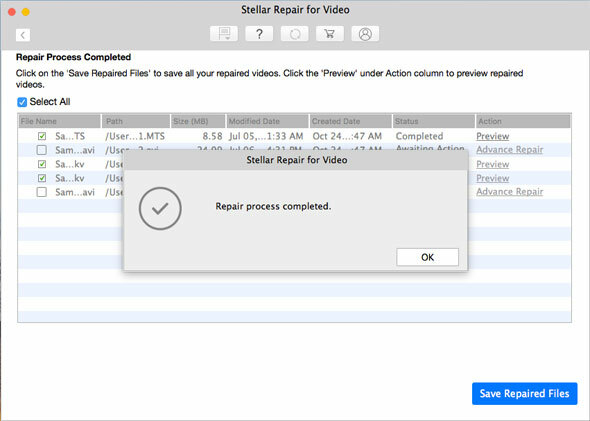 Note: The Stellar Repair for Video is also available for Windows OS. 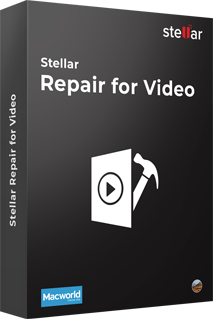 Download Stellar Repair for Video EXE file on Windows PC. 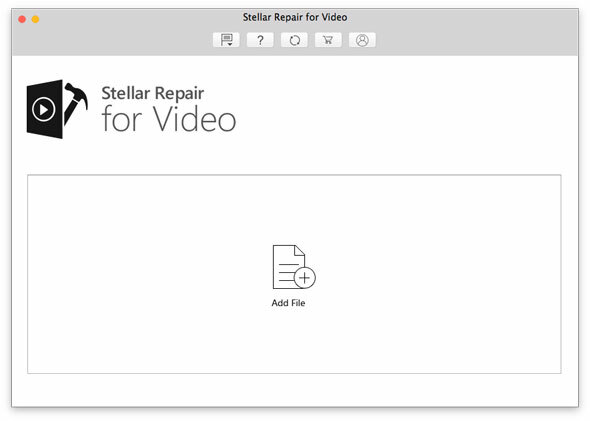 Stellar Repair for Video does all in simple three steps — Add file, Repair, and Save. The advanced algorithms of the software repair corruption in video data, video frames, sound section, header, movement of videos, and video slider making your videos playable again. You can Preview the repaired videos before saving them at a desired location on Mac or other media. 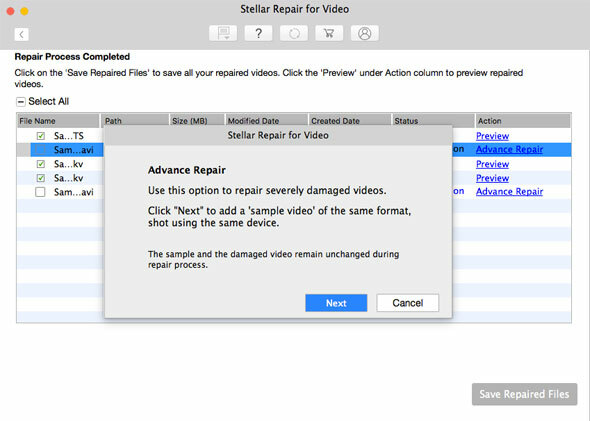 If the videos are severely corrupt, Stellar video repair utility uses the ‘Sample File’ information to fix them. A ‘Sample File’ is a working video file created from the same device and of the same format as that of the corrupt video. Stellar Repair for Video Screenshots?